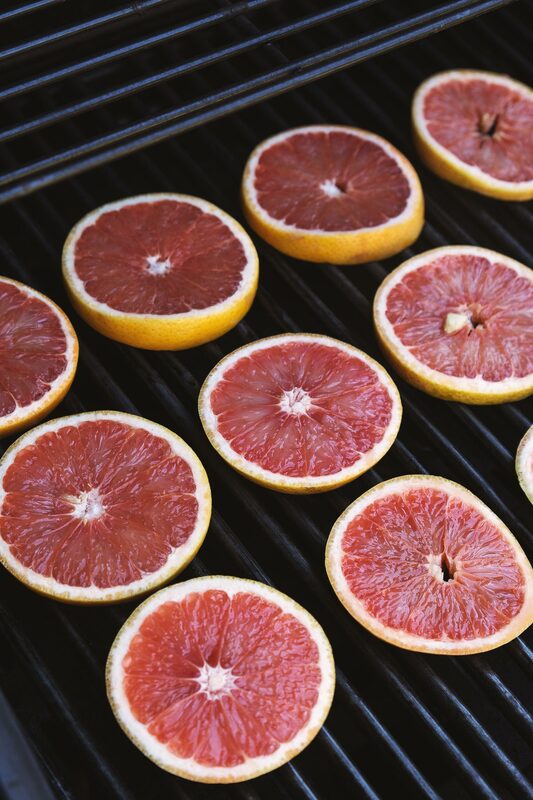 Grilled fruit has long been one of my secret food weapons. That’s right, I’ve been known to arrive at backyard barbecues with nothing more than a pineapple and a bag of peaches. But seriously, a little caramelization goes a long way when you’re seeking depth of flavor. 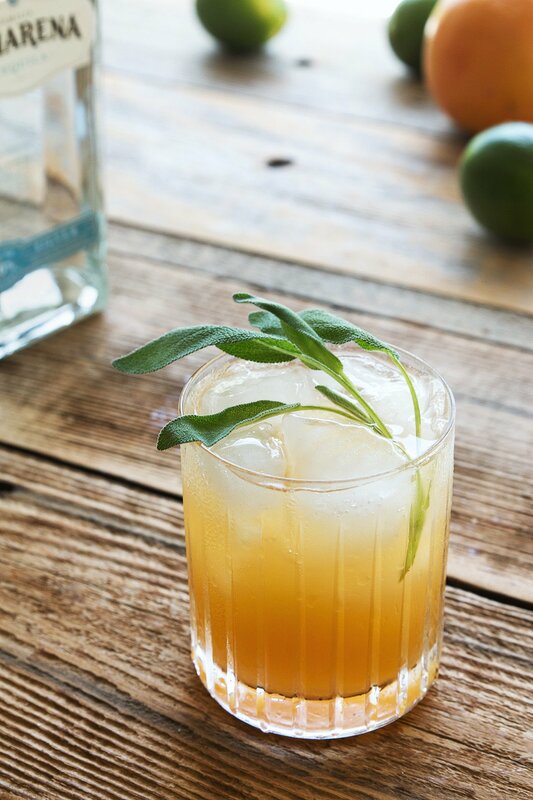 In the case of the grapefruit, I wanted to evoke more of the citrus’ natural juicy sweetness, as well as some smokiness, which I’m always a fan of in cocktails – especially tequila cocktails. 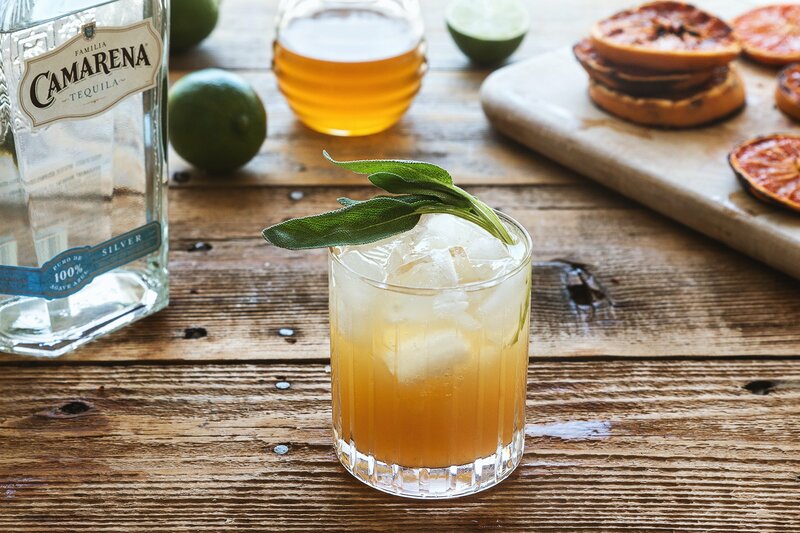 I spiced things up with a little fresh sage, my favorite honey syrup, lime, and Familia Camarena tequila to round out the party. 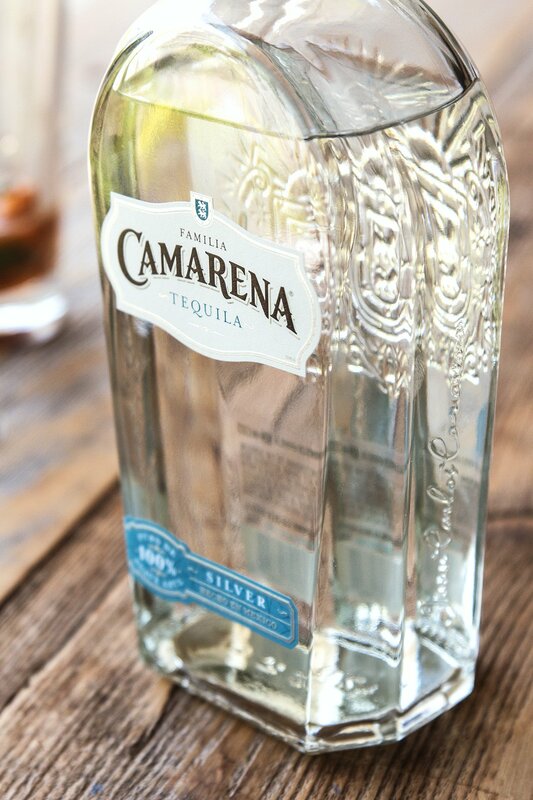 Since this year Cinco de Mayo falls on a Tuesday, I’ll be celebrating on Saturday, May 2nd. And speaking of celebrations, we’re giving away $100 gift card that you can put towards your own festivities by pledging to #SaveCinco (details below). 1. Pledge to Save Cinco at savecinco.com. 2. 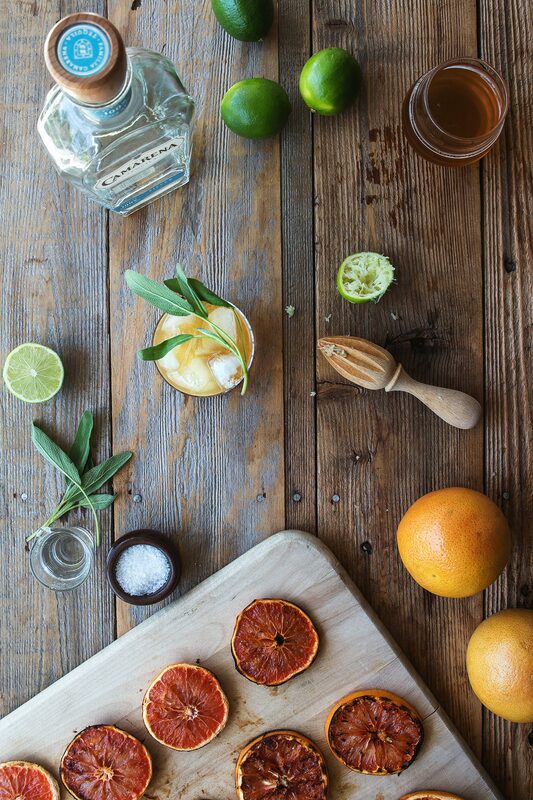 Share your pledge on Twitter using the #SaveCinco hashtag, and remember to tag us @HonestlyYUM. 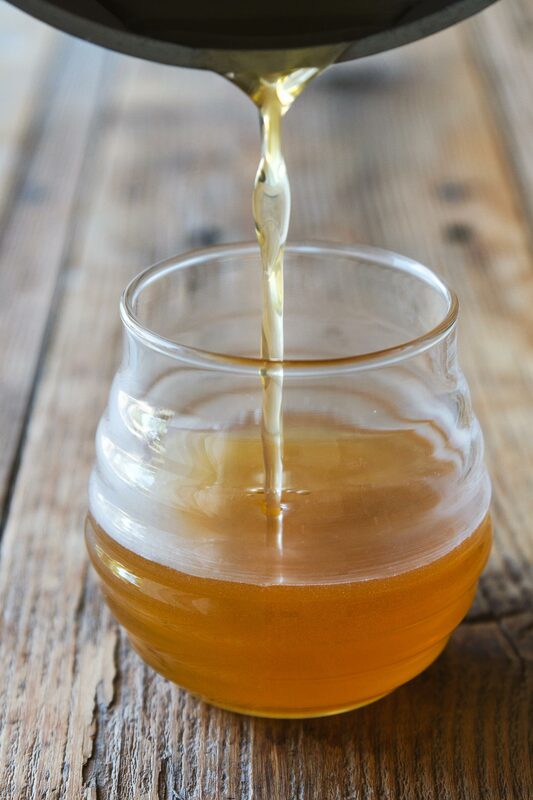 Add honey and water to a small saucepan over low heat and stir until thoroughly mixed. Remove from heat and let cool. Store in fridge. 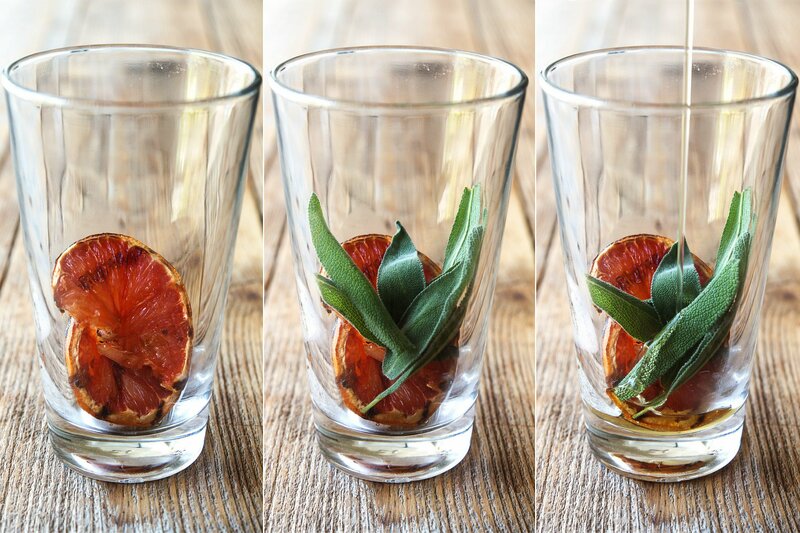 Cut one grilled grapefruit wheel in half and add it to your mixing glass. 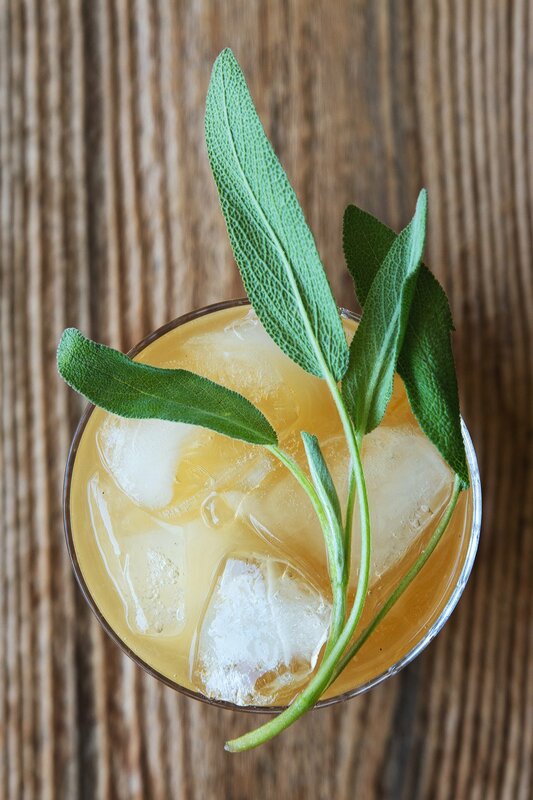 Add sage leaves, honey syrup, and pinch of salt to your mixing glass and lightly muddle. 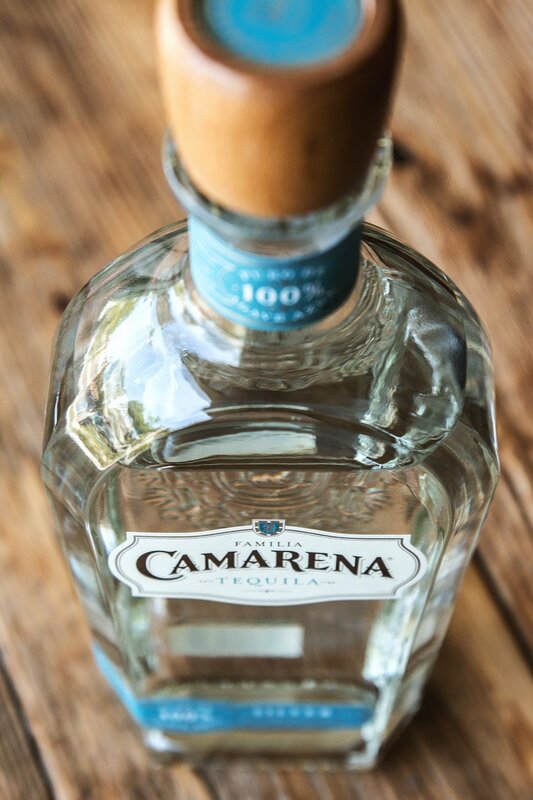 Add tequila and lime juice to your mixing glass. 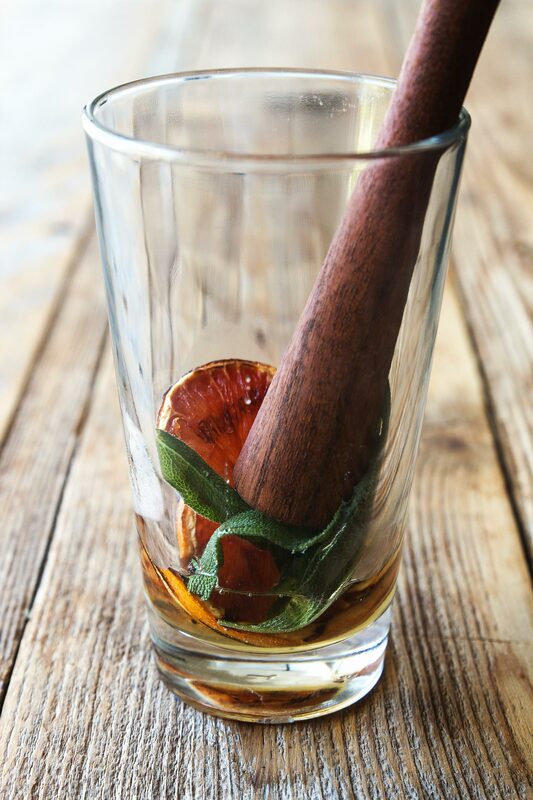 Fill mixing glass with ice and shake thoroughly for 10 seconds. Double strain over new ice into a tumbler glass. 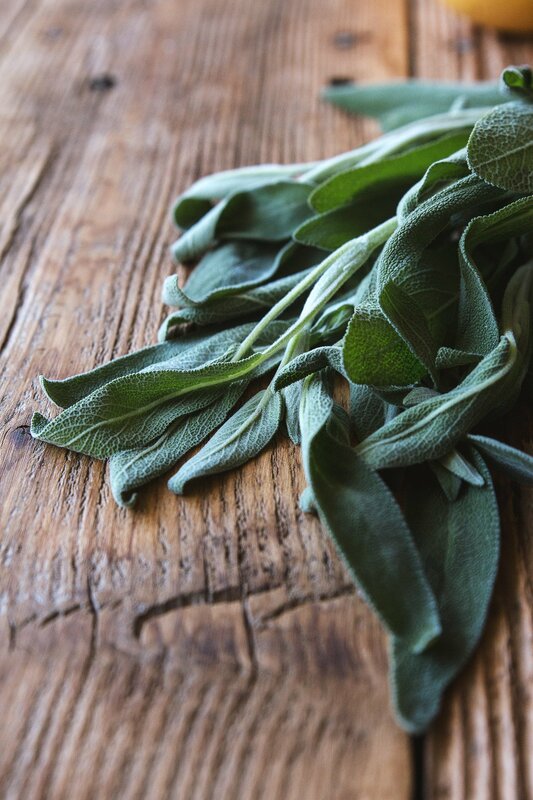 Garnish with a full sprig of fresh sage and serve. This looks great! Any advice on making this in a large batch? Really impressed with your photography!! I mean really high quality shots!! Genius–just genius! This is going to be the best weekend. Finely just starting to get into drinks, so these are looking pretty fun and delicious right now! Gaby is right, you make the most beautiful drinks! You getting into drinks is reason alone to celebrate!! You make the most beautiful drinks! This looks amazing! 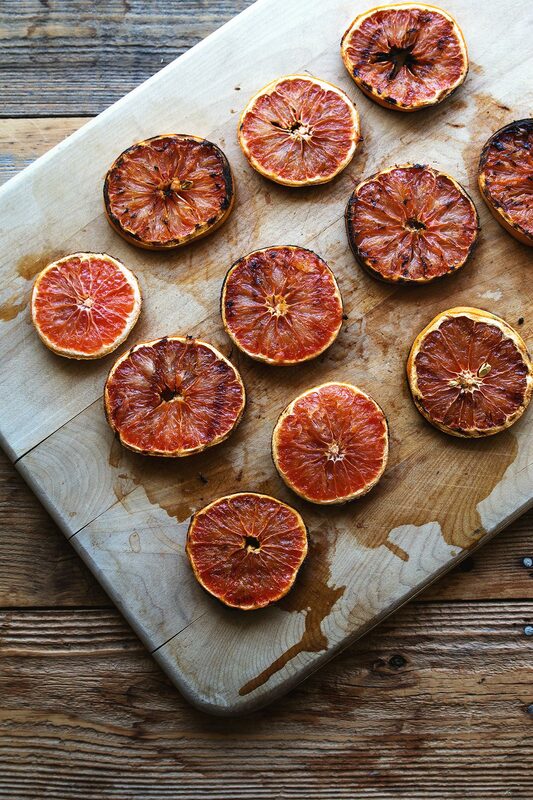 Oooh I like the idea of grilling the grapefruit. 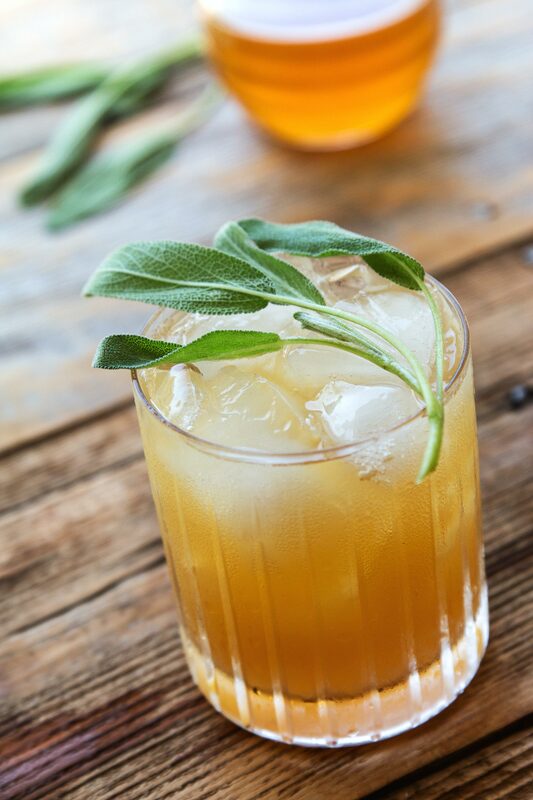 And I think fresh herbs always make for a nice addition to a cocktail. 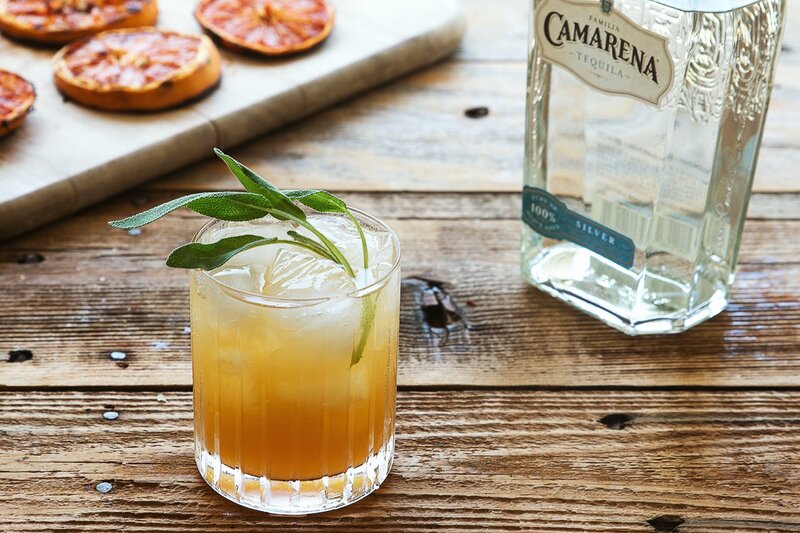 This is a welcome change from my usual cinco de mayo margarita. 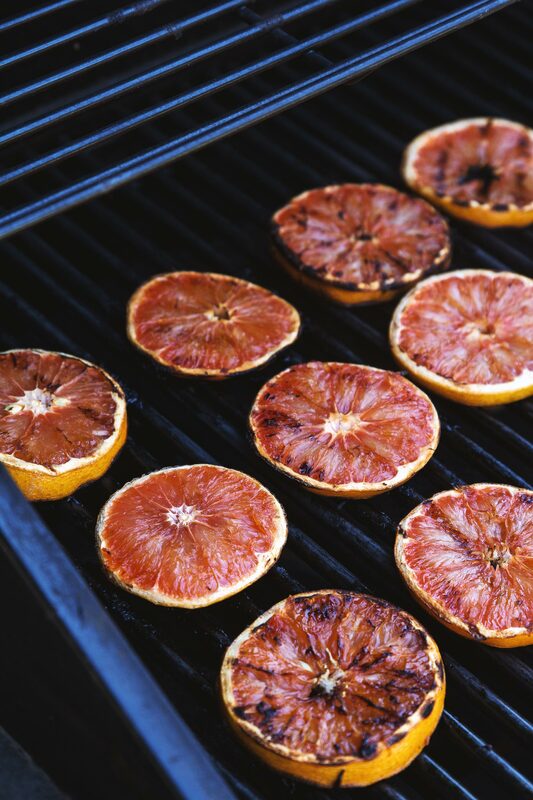 Wow, I would never have considered grilling grapefruit. 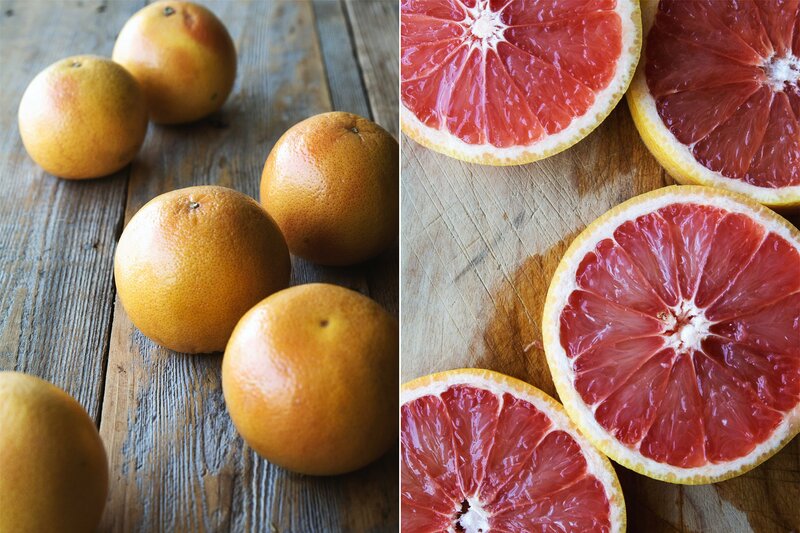 Peaches and other stone-fruit, sure, but grapefruit? Nope. These look very refreshing and maybe it’s something I could conjure up for the weekend. 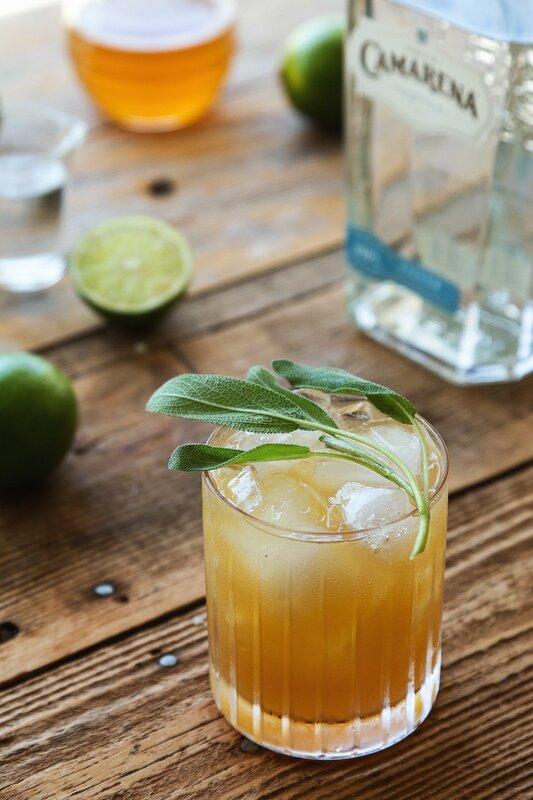 Tequila is always in my cocktail-wheelhouse so, yay!